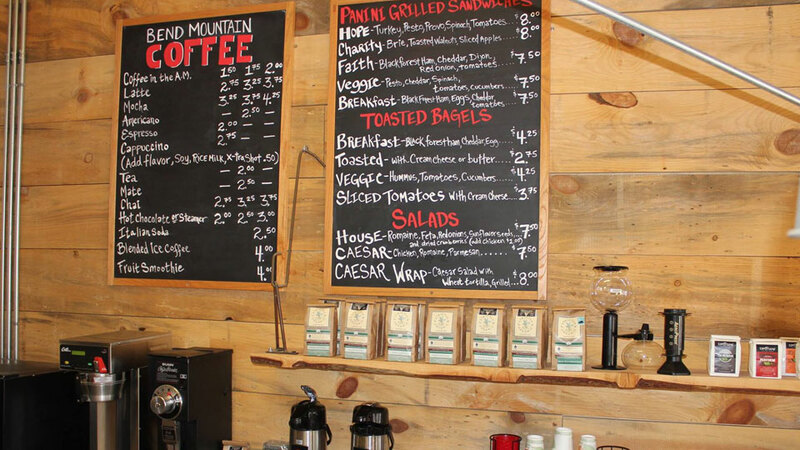 A small gem tucked in a storefront on Oregon street is Bend Mountain Coffee. They are a great place to enjoy a select number of local purveyors, featuring locally roasted Strictly Organic Coffee, Big O’ Bagels, My Chai, and Top Leaf Mate. Without overwhelming you with options on their breakfast and lunch menu, they offer made to order bagels, panini sandwiches, salads and wraps as well as biscuits and gravy. Specialty drinks include smoothies and blended coffees and they have changing seasonal offerings, like lemonade. Whether you need a quick place for a pick-me-up while you check social media, a place to work for the afternoon or a warm-up on a cold day browsing downtown, you’ll feel like a welcome part of the friendly local vibe in this sleek, minimalist environment. Catering to the business crowd, they’re only open until 4:00, noon on Saturdays and they take Sundays off because hey, we all need a break.